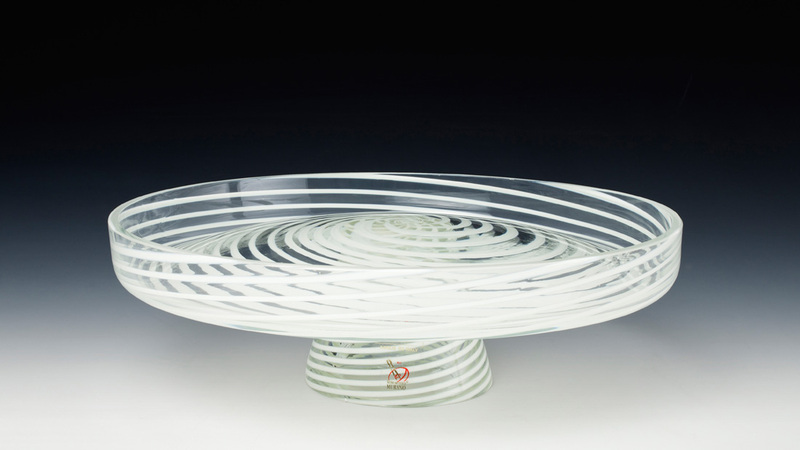 “ORBIT” is a centrepiece which can be used from both sides. 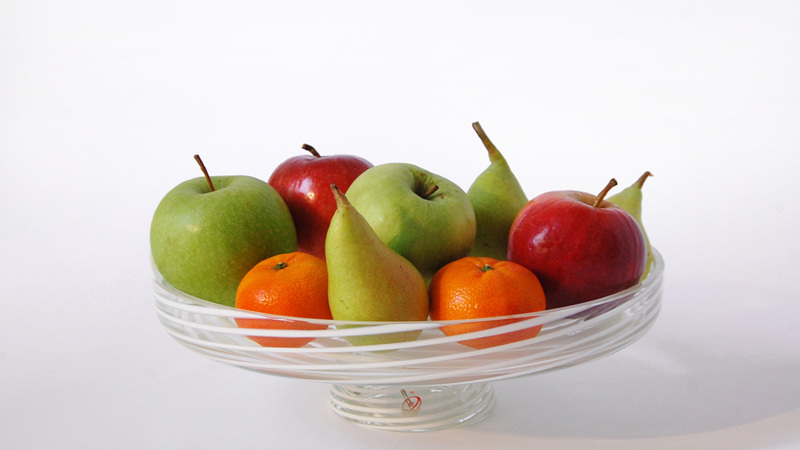 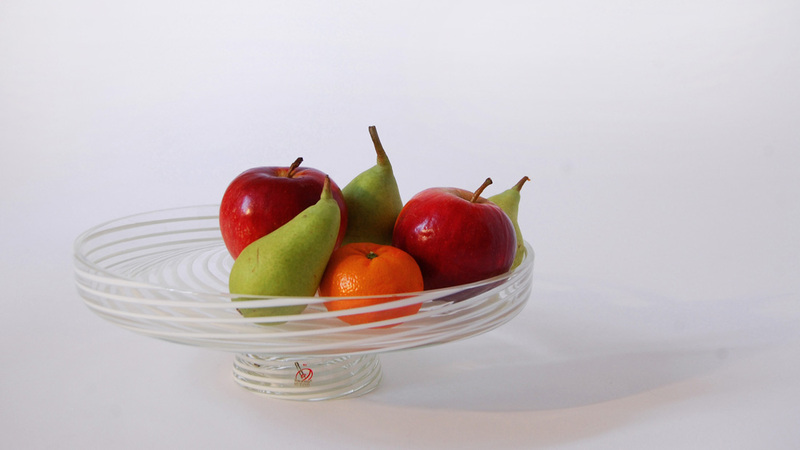 It functions as a fruit bowl using from one side. 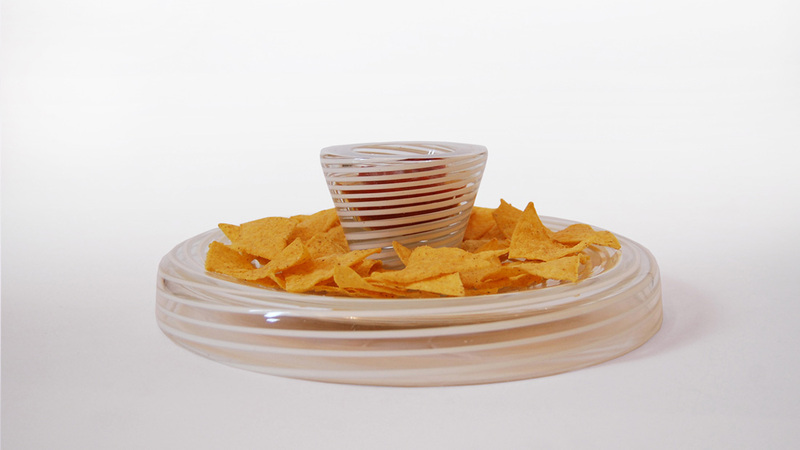 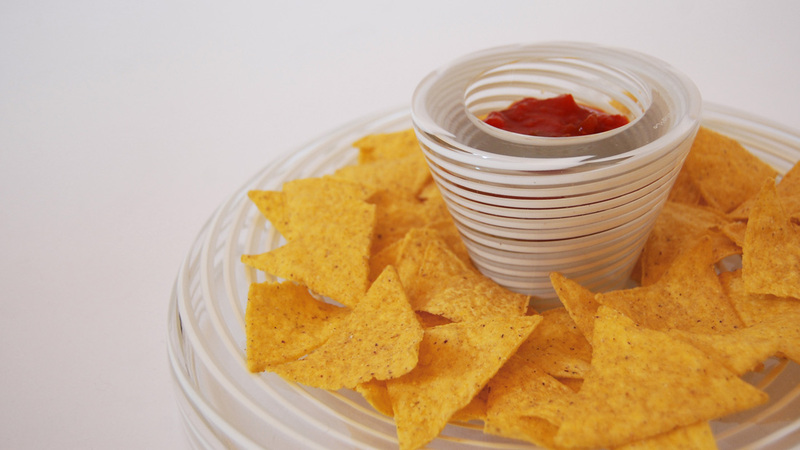 By placing upside down, a little sauce appears in the centre and it can be used as a chip & dip platter.